When I stated reading A YEAR OF BIBLICAL WOMANHOOD, I found myself doing something I rarely if ever do: forcing myself to slow down. That's part of the challenge behind this book: you want to just sit and ingest as many of Rachel's words as you possibly can, but you also want to stop and savor the beauty of the narrative she is unfolding. 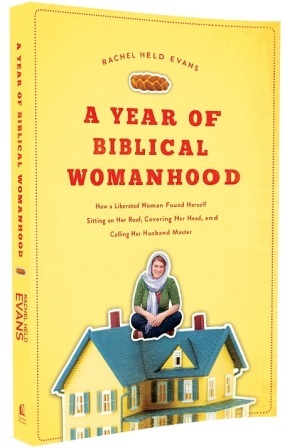 In roughly 300 pages, Rachel Held Evans manages to successfully challenge the misconception that "living biblically" - based on gender roles - can be distilled into a series of rules and regulations. What stood out to me as one of the greatest positives about the text is what many may find as one of its greatest negatives; namely, unlike 99% of the books published in the evangelical Christian community, this book does not ever give a "how to" guide or numerically provide "easy steps" on how to live out biblical womanhood. I'll admit, even though I loathe to read those kinds of books, I halfway found myself looking for those at the conclusion of each chapter. This speaks more to the conditioning we have come to expect out of Christian texts and not how the Bible states we are to live. This is just one of the many ways Rachel's book shatters expectations. 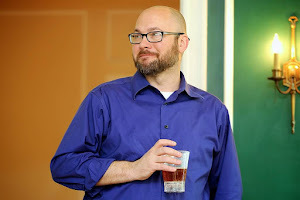 The book is fun without being disrespectful or irreverent to the source material. Her story is personal but universal in application. Her voice shines through in the story she tells, and it is obvious that Rachel the author documenting this experience and Rachel the person undergoing this transformation are one and the same. She does not try to distance herself or the reader from the positive or the negative experiences during the year she writes about. In many ways, it feels as if as a reader you are taking this journey with her. This is due in part to her comfortable, inviting style of writing, but also because of the insights and "aha" moments that are revealed as Rachel scrapes away the veneer of rules-based Christian living so many women - and men - find themselves bound to. To be fair, the book isn't perfect. But then again, neither the book nor the author ever made the claim that this is THE book on what biblical womanhood should be written by THE authority on the subject - which is a remarkably refreshing perspective for a faith-based book. Rachel simply took the idea that half of the population of Christians everywhere have been told there is only one limited way to behave or have a role to play in our faith, and challenged the readers to examine the biblical text and what we have been told is the only interpretation of it. Of course many will see this as heretical, questioning the established ways in which church and life operates, and they will do and say all that they can to cast her in the most negative light imaginable. After two-plus millennia of repeating the same pattern of trying to silence these voices, you'd think church leaders would get a clue and stop trying to crucify the people they disagree with. I fear for who they offer as Barabas to the masses this time out. Love God. Love others. That's how every day of every year of biblical life for women and men should be lived out. And (SPOILER ALERT) that's what Rachel admonishes at the end of her book. While many might take offense at suggesting this as a book one "Must Read," it most assuredly is a book you "Should Read."